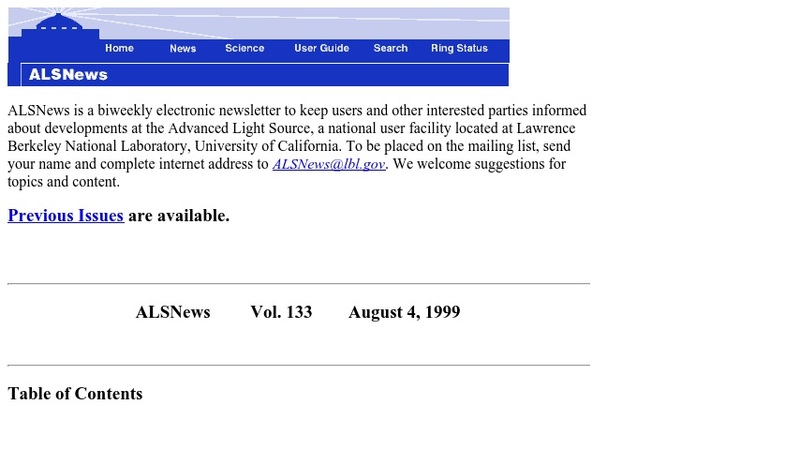 This ALSNews site features an article reporting that Berkeley Lab scientists used a Fourier-transform infrared (FTIR) spectromicroscopy beamline (Beamline 1.4.3) at The Advanced Light Source (ALS), a national user facility located at Lawrence Berkeley National Laboratory, to obtain spatially resolved, time-dependent spectra that give evidence of the biogeochemical transformation of Hexavalent chromium (Cr6+). The article also reports this as the first time that biogeochemical transformation of Cr6+ on a mineral surface has been nondestructively monitored and studied. Results from this study can be accessed through a link provided in the article. The site also contains links to additional articles in this ALSNews issue and several ALS sites.